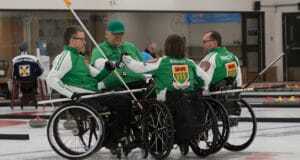 Chelsea Carey’s Calgary team — rounded by by vice-skip Sarah Wilkes, second Dana Ferguson, lead Rachel Brown, alternate Jill Officer, team coach Dan Carey and national coach Elaine Dagg-Jackson — took an early 2-0 lead by stealing two in the second end. But the final eight ends featured a stellar performance by Japan’s last-rock thrower Ikue Kitazawa, who made a dazzling array of precision hits, taps and rolls that forced Carey to make some brilliant shots of her own just to stay in the game. Despite the final outcome, there were positives to be pulled out of the game — most noticeably that Carey had command of draw weight, as did the front end of Brown and Ferguson with their sweeping weight judgment. 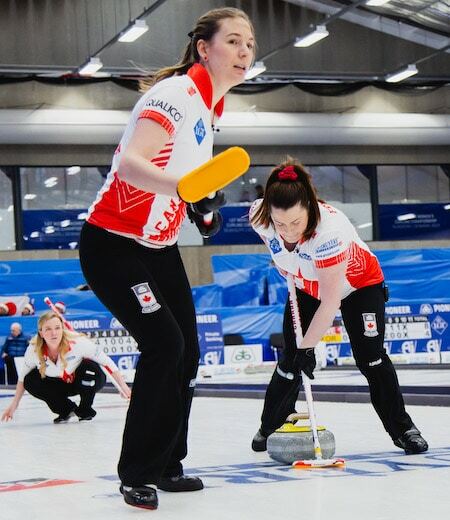 The Canadian steal in the second opened the scoring, but Japan bounced back immediately with a deuce in the third, and then used brilliant last stones from Kitazawa to record stolen singles in the fourth and fifth ends. 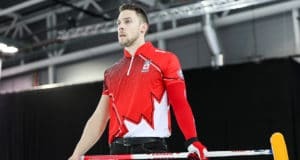 Canada could muster only single points in the sixth and eight ends — both on wonderful shots by Carey, who was looking at giving up significant steals on both occasions. In the 10th, she needed a miracle to score a tying three and could only muster a single point and the gloves came off for handshakes. Team Canada returns to action later Monday, at 2 p.m. Eastern against Finland’s Oona Kauste (0-4).